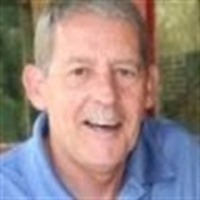 Hi, my name is Don Merrill and I am an affiliate with Send Out Cards, Inc.
1. People who send birthday cards, thank you cards, get well cards, holiday cards, etc. Our cards are fantastic, there are hundreds of each type to choose from, and they are much cheaper than if you purchased a card in a store. 2. Business owners of all kinds are using SendOutCards to increase their business and their revenue. SendOutCards is a very effective and inexpensive way to keep your business "top of mind" with your prospects and customers. 3. There is also a business opportunity available with SendOutCards. I would love for you to experience SendOutCards for yourself AT NO COST. There you will be able to send one card to someone you care about, through the mail, totally FREE!! Offer also includes postage anywhere in the world. and they will experience the excitement of receiving the card from you. We call that: "Changing Lives, One Card at a Time." Go on. Give it a try! You are going to love it!